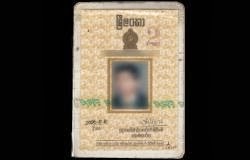 The Department of Registration of Persons has taken steps to provide National Identity Cards for all citizens above fifteen years of age. The Commissioner General of Registration of Persons R.M.A.S. Sarath Kumara said that a set of new rules have been made for this purpose. He said that with the issue of Electronic Identity Cards, the new regulations too will be in play.